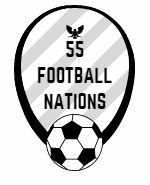 55 Football Nations watched league matches in Ufa, Tula (both Russia), Vitebsk and Minsk (both Belarus). Photo highlights from the four games, host cities and major Russian hubs of Yekaterinburg and Moscow. My slightly crazy aim is to be the first to experience top division league football in all 55 UEFA nations in one season.